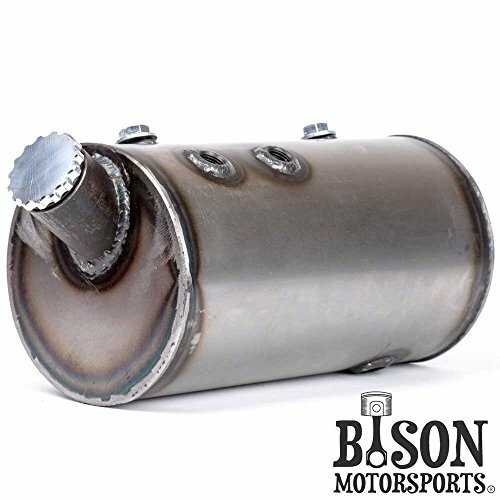 Custom 5'' Round Flat Side Oil Tank for Harley Sportsters, Bobbers or Choppers - Bison Motorsports by Bison Motorsports at Chosen Hubs. MPN: 00-0045. Hurry! Limited time offer. Offer valid only while supplies last. Construction: This custom chopper Harley Sportster Motorcycle oil tank is crafted from 16g cold rolled steel and precision mig welded for strength. Side Fill Screw cap and tube dia. is 5"
If you have any questions about this product by Bison Motorsports, contact us by completing and submitting the form below. If you are looking for a specif part number, please include it with your message.